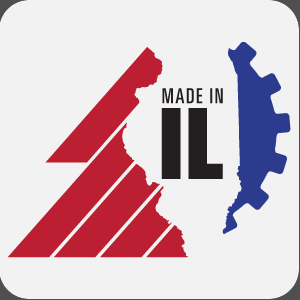 Bramic Industries was founded in 1983 in Addison, Illinois, a suburb of Chicago. Since then, we’ve grown to be a full service machine shop. Specializing in industrial cams and similar complex components, Bramic has been providing high quality parts to customers and end-users around the world for over 30 years. Throughout our history, customer service has been at the forefront – from our founder pulling an all nighter in the early years to assist a customer with a breakdown, through years of investment in techchnology and capabilities, right up to the present day. During that time, Bramic has also collected an extensive nationwide network of suppliers, providing the capability to manage the entire production process, from raw material to finished component, regardless of the technical requirements. In 2015, upon the retirement of our founder, we joined the team at Lenrok Industries, where our history, traditions, and skills represent a highly valued asset. Our vision is to be a low volume/high mix lean manufacturing supplier of choice that will thrive in the prototype and production phases of the product life cycle. We will accomplish this by providing flawless quality, short lead times, reasonable costs, and a quick response to our customers. We will blend traditional technology and the high skill of our members with cutting edge technology and fast learning to create and maintain our position as the supplier of choice for these services. We will continually demonstrate our strong customer focus by pursuing flawless quality and on-time delivery – where we fall short we will continually improve and relentlessly pursue this objective. We will maintain an unfailing belief in the inherent value of creativity and collaboration. Our cost control measures will be marked by the belief that showing respect for people while pursuing continuous improvement opportunities is the cornerstone of a true lean enterprise.